At the corner of Myrtle and Swan. 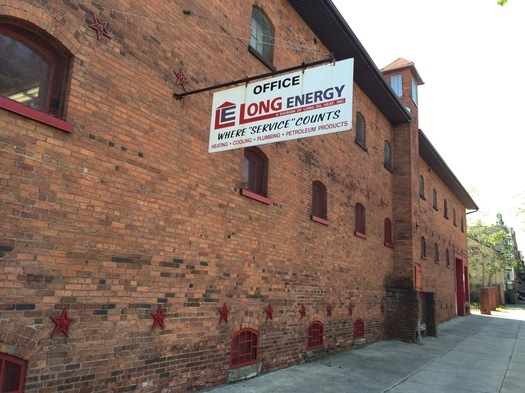 This week we got a chance to gawk at the still-under-construction residential conversion of the former Long Energy building at Myrtle and Swan, right across from Lincoln Park in Albany. It's an interesting project, in part because of the design challenge of reshaping the complex of three historic buildings -- they were originally used in association with breweries -- into apartments. The project also represents a significant addition of residential units -- 75 -- to the neighborhood. Here's a look around, along with a few more bits. 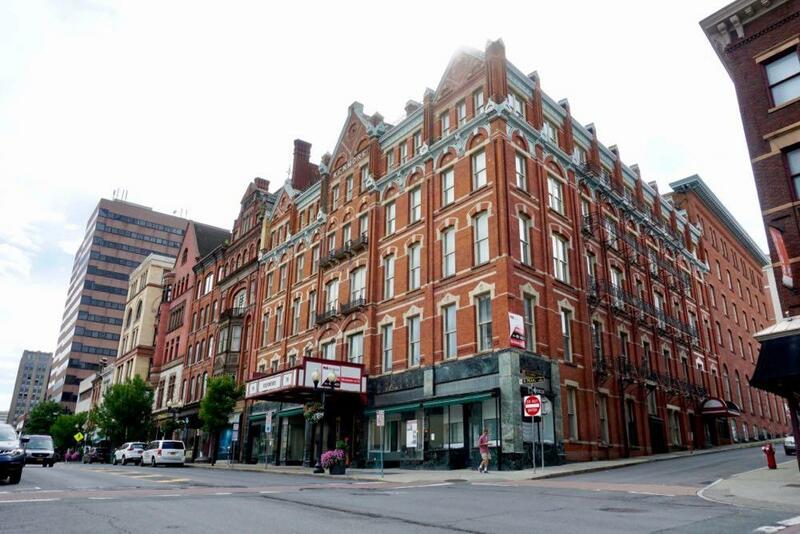 A large group of historic properties were sold in downtown Albany this month, and the deal could be a major milestone in the ongoing transformation of the neighborhood. 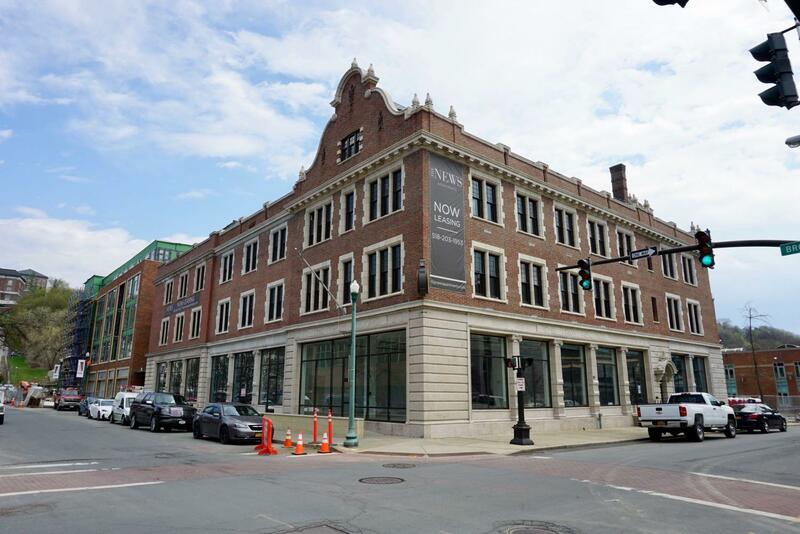 Over the span of two days last week, Redburn Development Partners closed on "The Kenmore Portfolio," which includes the prominent Kenmore Hotel and Steuben Club buildings on Pearl Street, as well as the Capital Repertory Theatre building. Redburn is planning apartment conversions for many of the buildings, which it sees as a continuation of downtown's recent shift toward being a residential, "18-hour" neighborhood. "We think that we have the correct vision for what's needed in downtown Albany," said Jeff Buell, one of Redburn's principals, today via phone. "I think it's an absolutely transformational project that must be done if Albany's going to be a 21st century city." Here are a few more bits about what's happening. That latest project in the ongoing shift of downtown Albany toward being a residential neighborhood: Maiden House. 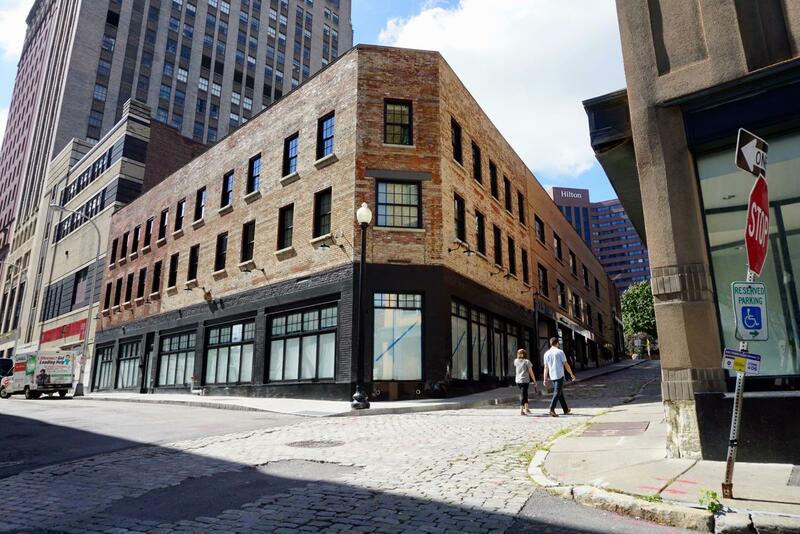 It includes 18 apartments and a handful of potentially interest retail spaces at the corner of North Pearl Street and Maiden Lane in a building that had been vacant or underused for many years. And it's backed by development company that's becoming a key player in the transformation of downtown. 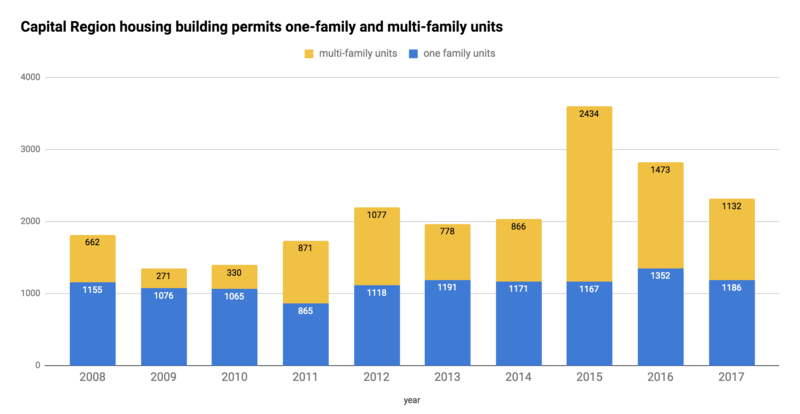 Capital Region building permits for residential units over the last decade -- for single family homes and units in multi-family buildings. Sometimes during episodes of Exciting Tales of the Albany Planning Board and related whatnot, we refer to the apartment building boomlet that's been going in Albany and around the Capital Region. Right, so about the specifics of that boomlet... The Census Bureau collects data on the number of building permits for housing units issued each year in each municipality. And those numbers help draw the outline of this trend. For example: The chart above shows the number of overall units covered by building permits issued for the four core Capital Region counties over the last decade -- along with how many of those units were in multi-family buildings (yellow). And as you can see, there's been an upswing in multi-family units in that time, especially the last few years. The last few years have seen a small boom in residential projects in the downtowns of the Capital Region's core cities. And the latest project to open is The News. It's a 101-unit redevelopment/new construction project by the Rosenblum Companies at the site of the former Troy Record building in downtown Troy. Tenants started moving in at the start of this month. Here's a look around the place, along with a conversation with Rosenblum's Jeff Mirel about Troy and building new residential in urban neighborhoods. A rendering of the proposed private dorm project on Western Ave. Exciting Tales of the Albany Planning Board is a program recorded before a live studio audience in Albany City Hall once a month in which the fates of multi-million dollar projects are (partially) decided. This graph is from the Capital District Regional Planning Commission and the Council for Community and Economic Research. 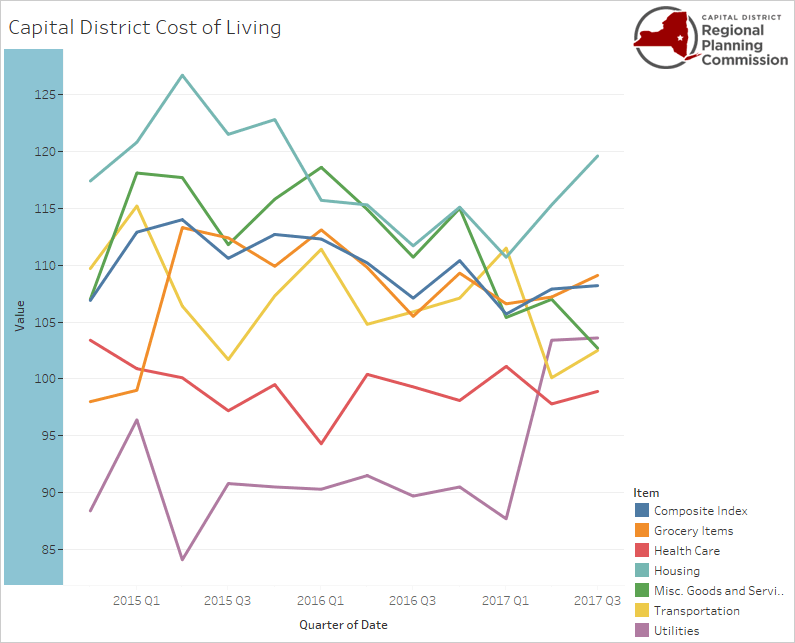 It tracks a Capital Region cost of living measure relative to the national average quarter by quarter. That teal line running along the top is the cost of housing. + The median gross rent for Albany-Schenectady-Troy metro area was $931 (+/-21) in 2016, according the Census Bureau*. In the city of Albany it was $895 (+/-29). That is, half the rents (plus utilities if not included) were above that mark and half were below. The proposed redevelopment of the Playdium was among the projects up for review. 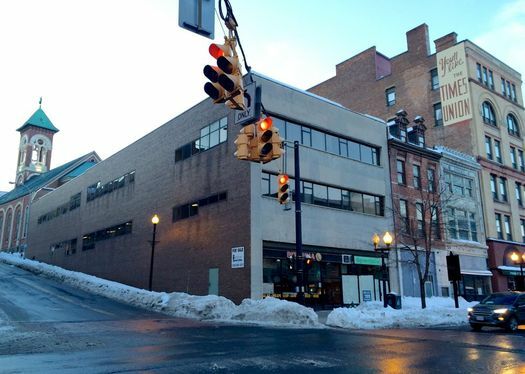 Despite the fact that they often focus on multi-million-dollar projects that can literally change the shape of the city, Albany planning board meetings are often quiet affairs, attended by few (or no) members of the public. That was not the case for Tuesday's meeting, which featured a packed gallery, a bunch of neighborhood critics, and even a loud, happy round of cheers. 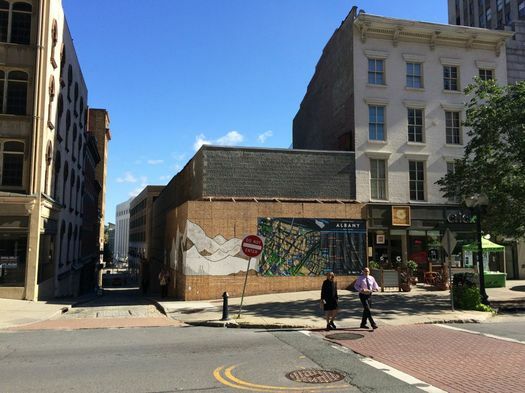 The latest residential project proposed for downtown Albany: A plan to create 26 apartments at 48 North Pearl Street by converting office space -- and adding two floors to the building there. 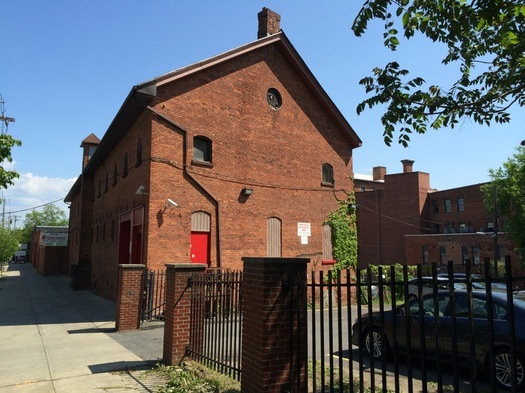 Another residential conversion -- this one will add 75 apartments to the Hudson/Park neighborhood -- got the OK from the Albany planning board Thursday evening. Here's more about that project, along with bits about the stalled Gallery on Holland project and the proposed large mixed-use project next to Quackenbush Square. 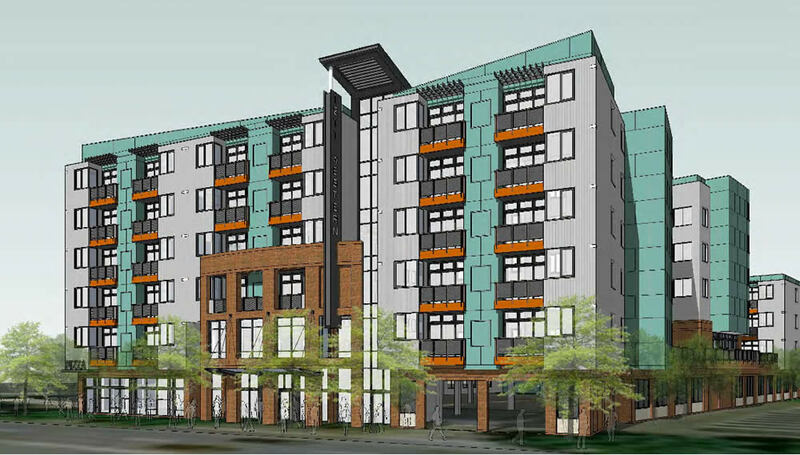 The rendering for a new apartment building planned for Park South. 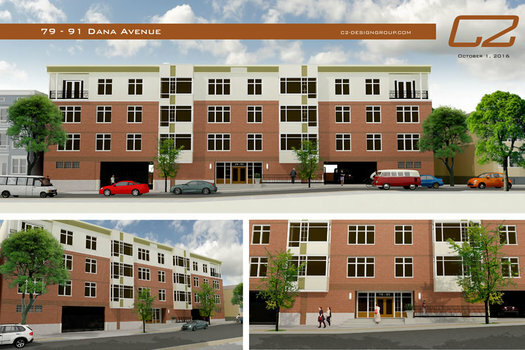 Two new residential projects in Park South got to OK move ahead at the Albany planning board meeting Thursday evening. The complex currently houses the Long Energy company. Its previous lives included use as stables. 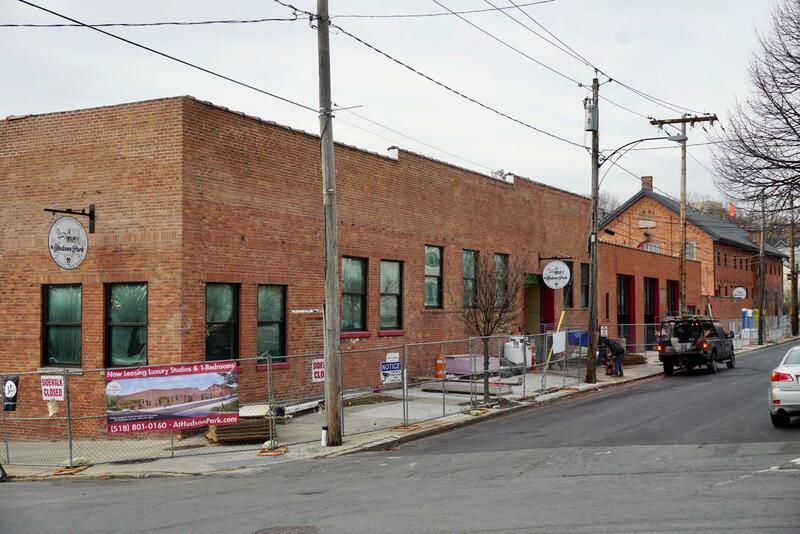 There's been a string of residential conversion projects -- both completed and planned -- in Albany over the last few years, mainly concentrated downtown and in the Warehouse District. But the latest project of this type is planned for the Hudson/Park neighborhood.